Speech at the EPP Congress Novem­ber 8th 2018. 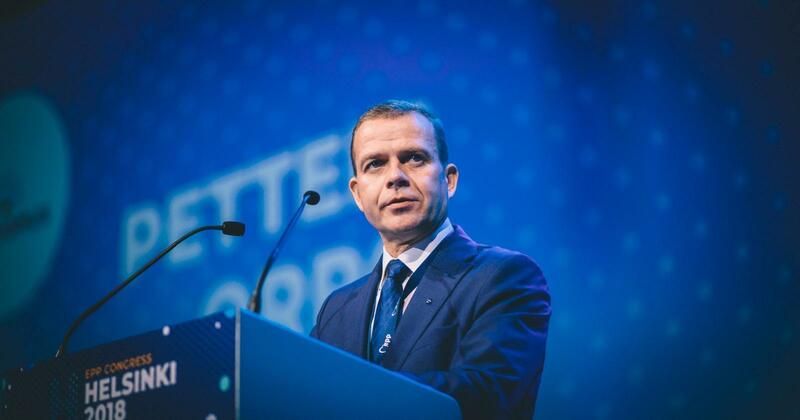 “Europe must take more respon­si­bi­lity of its own destiny”, says Petteri Orpo, Chair­man of Kokoo­mus at the EPP Congress in Helsinki. United we stand, divi­ded we fall. Europe can only compete with rest of the world if we work toget­her. To provide credible solu­tions to the biggest chal­len­ges of our time, the EU needs to be united. Euro­peans expect Euro­pean solu­tions to chal­len­ges, which no member state can tackle alone. Those include climate change, migra­tion and secu­rity. EPP is the most power­ful poli­tical force in Europe to drive for stron­ger and more united EU. In the EU, we must be better at high­ligh­ting what unites us instead of what sepa­ra­tes us. We need the member states to take more owners­hip in the Euro­pean project. Europe must take more respon­si­bi­lity of its own destiny. Next year, I expect the new Commis­sion to focus even more strongly on sustai­nable econo­mic growth and on the well-being of Euro­peans. New growth must come from clean tech­no­logy, low carbon emis­sions, and the use of sustai­nable and renewable mate­rials. We should set the EU Climate Policy Head­line Target to fifty percent instead of forty percent. Sustai­na­bi­lity is not an obstacle, but an oppor­tu­nity! Finland is one the first count­ries in the world to inte­grate sustai­nable deve­lop­ment into its annual budget. We should add sustai­nable deve­lop­ment budge­ting to the EU budget as well. It is esti­ma­ted that millions of jobs could be lost to arti­ficial intel­li­gence. Howe­ver, tech­no­logy does not need to work against us. EU can lead the digi­tal revo­lu­tion by strengt­he­ning skills and raising the level of educa­tion. Educa­tion is a way to fight poverty and lack of pros­pects. Educa­tion is the foun­da­tion of Europe’s welfare socie­ties. I am fully aware that educa­tion and skills are in the compe­tence of EU member states. We still have to recog­nize that educa­tion plays a major part in the overall compe­ti­ti­ve­ness of the EU. Finland strongly supports the recent deci­sions to deve­lop Euro­pean defense coope­ra­tion. How could we take it even furt­her? The mutual assis­tance clause of the Lisbon Treaty has been acti­va­ted once. It was after the two thousand-fifteen terro­rist attacks in France. Finland and others were ready to help. I think we should furt­her deve­lop our abili­ties to assist each other. A prac­tical way would be to orga­nize joint exerci­ses. Member states would prac­tice the use of mutual assis­tance clause in diffe­rent situa­tions from hybrid acti­vi­ties to conven­tio­nal mili­tary opera­tions against one or seve­ral member states. Joint exerci­ses can serve as means to find weak­nes­ses, to deve­lop proces­ses and to increase EU’s credi­bi­lity as a secu­rity entity. For a long time, many regar­ded EU defense coope­ra­tion over­lap­ping with NATO. Crisis in Ukraine, recent terro­rist attacks and hybrid threats have shown that both, the EU and NATO are needed and that they can comple­ment each other. As Presi­dent Junc­ker has said, the EU should be big on big things and small on small things. I fully agree. EU was foun­ded to provide peace and pros­pe­rity for all Euro­peans. This should still be our most impor­tant agenda. 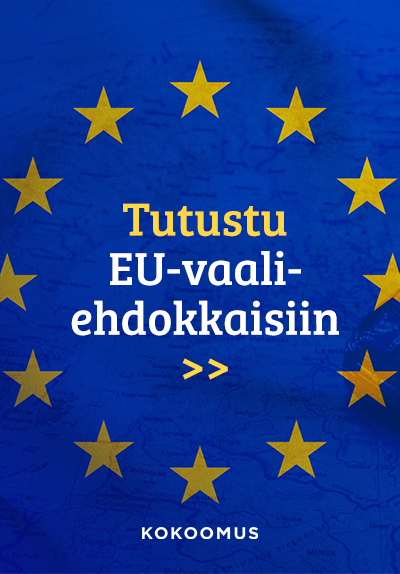 In Finnish poli­tics, Kokoo­mus is the party that stands for Euro­pean inte­gra­tion and the EU. That is why it was so impor­tant for us to host the Congress in Helsinki. With this, we show our commit­ment to EU and our Euro­pean friends, and EPP to Finnish people. For a small country like Finland, it means a lot that the centre of Euro­pean poli­tics has been in Helsinki for two days. I am so proud of that.